Find out the Latest and Greatest from Mercury Floor Machines! 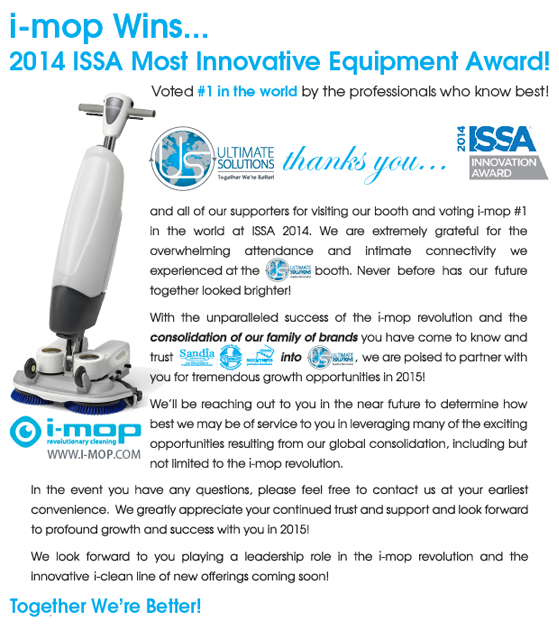 News Release - i-mop Wins 2014 ISSA Most Innovative Product Award! Watch our booth video here. View our showphoto album here. Read ISSA's Innovation Award Program Announcement here.